The WSGF is creating solutions to ensure PC games work in all display configurations. For 15 years, The Widescreen Gaming Forum (WSGF) has been the Internet's leading resource for information on how modern and classic games run on the wide variety of display hardware available to PC gamers - widescreen, multi-monitor, ultra-wide, super-wide and 4k UHD. The site is self-funding via ads that run on the site. However, testing games for entry into the site's game database requires that games be purchased. Likewise, testing displays and GPUs for our YouTube channel costs money as well - as we rarely get product provided by manufacturers. How Does Your Pledge Help? Many times our dedicated core of contributors purchase games solely for testing, with little desire to play them (or at least little time to play them to any extent). With your pledges, we can support this dedicated community of contributors by providing games for testing - or at least helping to reimburse them for their purchases. Your pledges will also help the site generate more "article" and video type content, which focuses on game and GPU performance, and hardware reviews. Given out several multi-monitor configurations (both 3x1-Landscape and 5x1-Portrait) to game testers and developers. Given out two 21:9 ultra-wide monitors. Handed down (with permission) previous generation video cards we had been provided for testing and benchmarking. 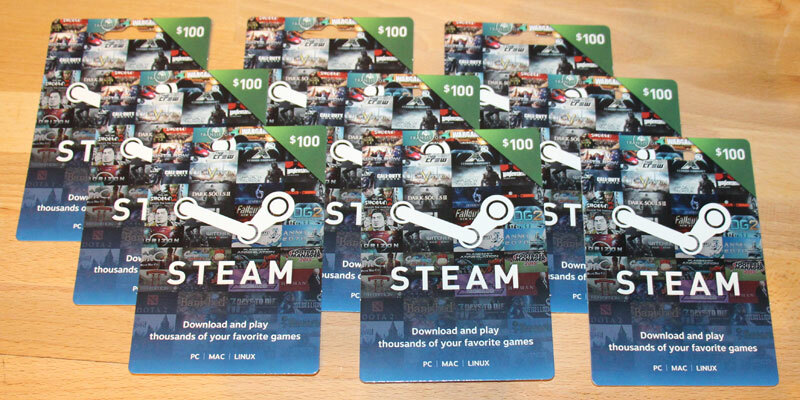 Since 2012 we have done a yearly "Boxing Day" Steam Card give away to our volunteer staff, and key contributors. For many years this averaged $1000 per year in gifts. Complete the GOG Catalog - We'd love to donate every game in the GOG catalog to our testers, so that we can provide full detailed technical coverage. Additionally, all of our data feeds into the PCGamingWiki GOG.com Enhancement Project. Reward our Testers and Developers - Even if they don't need to test or fix a title, it would be great to reward them for all their hard work, with a title they can enjoy. Since 2003, the WSGF has been the Internet's premier source for info on widescreen, multi-monitor, ultra-wide, super-wide and 4k gaming. We started back in October 2003, when widescreen displays were just coming to notebook PCs. In those 15 years, we've amassed a database of over 2300 games, detailing how they perform in not only widescreen - but newer display technologies such as multi-monitor (AMD Eyefinity and NVIDIA Surround), ultra-wide (21:9 aspect), super-wide (32:9 aspect) and 4k UHD. As PC display technology continues to evolve, we continue to evolve right along with it. As of 2019, our database covers over 2300 classic and modern titles. Our community has amassed solutions for over 600 of these titles, which do not properly support modern display technologies in one way or another (the balance either have proper support, or no solutions). Our "Detailed Reports" have become the cornerstone by which games are tested for their compatibility with differing technologies, and our nomenclature (Hor+, Vert-, etc.) has been adopted Wikipedia as the standard description for screen change in PC games. Additionally, we have collaborated with both AMD and NVIDIA on their multi-display technologies. PC Gaming Wiki has also used our solutions and medals as a core component of their gaming reports. The site itself is funded by ads that run on the site (which do pay for the hosting bills and other associated costs) - but we'd like to stop them. The site itself has been a labor of love for it's founder/owner, its volunteer staff, and dedicated community of contributors. Our solutions have always been - and will continue to be - offered to the PC gaming community for free. There's no risk of the site going away. Your Patreon pledge will simply allow us to do more. Helps us cover existing costs of running the WSGF and purchasing games for testing.